This season’s Texas cotton crop will be exceptional in terms of yield. That was the consensus of more than 50 people representing different regions of Texas and the entire spectrum of the cotton industry that gathered in the conference room of Plains Cotton Growers (PCG) office in Lubbock on December 1. In terms of yield, there is going to be a lot of cotton from Texas, with more than 5 million bales coming from the High Plains area. Steve Verett, executive vice president of PCG, noted that while some low micronaire issues have been reported in the High Plains, other qualities are outstanding. Producers on the High Plains, overall, are pleased with the exceptional yields, noting that greater than expected yields in some areas have more than offset lower yields in other regions. John Spence, a producer from El Paso, TX, reported that his area is seeing yields up to 1,300 pounds/acre for upland cotton. Toby Robertson of Robstown, TX – who has a family farm of 10,000 acres – stated that this year’s crop has produced 1,505 pounds/acre in his operations, compared with normal yields in his area of 800-1000 pounds/acre. A similar experience was shared by Jeff Nunley, executive director of South Texas Cotton and Grain Association, who stated that his region will have about 1.8 million bales this year, compared to last year’s production of one million bales. The mood in terms of the market was very optimistic, as the demand is strong. Prices never rise during harvest season, but price has been rising over the past two weeks or so, which is positive news for the industry, said Shawn Wade, director of Policy Analysis and Research at PCG. Cotton at 73 cents is a good signal of world demand, especially while harvest is still underway. A cotton trader reported that mills in Pakistan and Turkey are buying U.S. cotton, and recent demand is also huge from Pakistan. Overall, the picture shows good yields, and the market is showcasing good price points. With India’s crop recently downsized and the growing demand for cotton, the U.S. cotton industry is looking forward to the new year with full optimism. 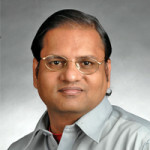 Dr. Seshadri Ramkumar is a professor in the Department of Environmental Toxicology and The Institute of Environmental and Human Health at Texas Tech University, and a frequent contributor to Cotton Grower. See all author stories here.